The carrot had one top but two roots. Normally, such a thing would never wind up on grocery shelves, let alone a commercial kitchen. At best, a "forked" carrot might be trucked to a farm somewhere and used as animal feed. At worst, it would wind up in a landfill to decompose. But last week in her kitchen near downtown Vancouver, as Chef Karen Barnaby turned the vegetable over in her hands, she only saw potential. "If you think about all the time that went into making this carrot, getting it right here, into my hand …" she said. She set the gnarled root down on her cutting board to dice. "From the seed, to the people who planted it and harvested it – to have someone say 'Oh no, sorry, that's a two-pronged carrot, I don't want to use it?'" Her voice trailed off, a bewildered look on her face. On that day and most days in her kitchen of late, Ms. Barnaby's focus has been on turning similarly unloved vegetables into soup. Specifically, tomato soup. For the past few months in her role as a chef working with the Greater Vancouver Food Bank (GVFB), she's been salvaging tomatoes and other donated ingredients directly from farmers and suppliers – food that would otherwise wind up in landfills. Overripe tomatoes with skin that stretched and split when squeezed. Tomatoes with bruises on them. Pale, anemic-looking ones not likely to ripen. These ingredients will make up her soup. In the food world, these are sometimes referred to as "below seconds" – still safe and edible, but unacceptable to retailers. In order to understand the scope of what was available, Chef Barnaby's partner on the project, Alexa Pitoulis, went straight to the packing plant lines, where she stood over workers' shoulders, watching as they sorted. Whenever a worker would pluck a bunch of tomatoes to discard, Ms. Pitoulis would lean in to see if they were still usable. Often, the answer was yes. What she witnessed at the packing plants is part of a much larger problem that affects every segment of the food industry. An estimated $31-billion worth of food – mostly fruit, vegetables and meat – is needlessly thrown out in Canada every year. Globally, about one-third of all food produced goes to waste. And it happens at every level of the food system – the result of everything from inefficient agricultural practices, to retailers' demand for cosmetically "perfect" produce, to consumers who buy in bulk without regard for necessity. Wasted food has major environmental repercussions. Producing food only to have it wind up in landfill means already limited resources such as land, water and fertilizer have been squandered. And as that food decomposes, it releases methane, a greenhouse gas – about 3.3-billion tonnes of it each year, according to the Food and Agriculture Organization of the United Nations. 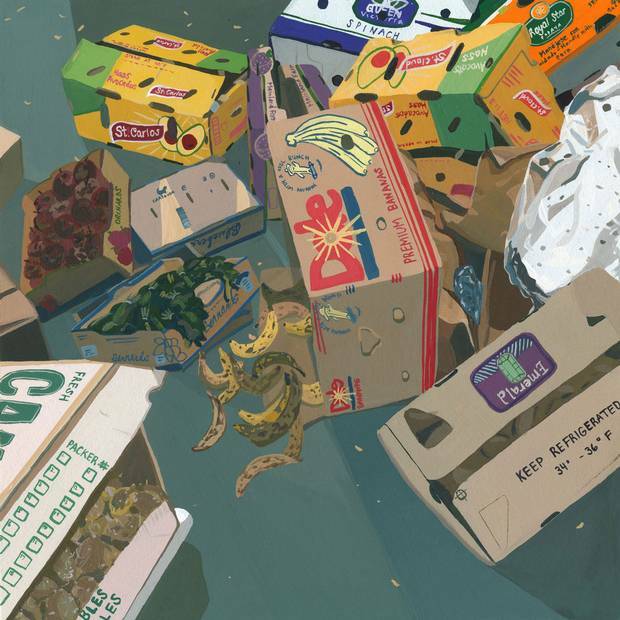 As a result, waste has emerged as a cause célèbre in recent years for the food world. Last year, France passed a law banning retailers from throwing out still-edible products. Celebrity chefs introduced food waste "pop-up" restaurants. Vancouver launched its "Love Food Hate Waste" consumer awareness campaign. And neighbours banded together to set up "community refrigerators" to share leftovers. But experts say that well-meaning, smaller and local initiatives are little defence against an ever-growing and complicated problem. Some of the initiatives – especially those aimed at just one level in the supply chain – can cause further problems. For example, retailers suddenly diverting large quantities of perishable products to charities that aren't equipped to handle them can leave those charitable groups responsible for their disposal. "What we're doing is basically putting little Band-Aid solutions in bits and pieces everywhere," said Tammara Soma, the lead researcher at the University of Toronto's Food Systems Lab. "What we need are systemic changes," she said. "That's why they're so difficult to do. Because they require sacrifice." About four years ago, the Vancouver food bank had too many bananas. On a single day, the GVFB received 9,000 kilograms of them in a donation. They knew that, using their usual methods, they would only be able to give out about half of those before they began to brown. Desperate to avoid waste, the food bank's CEO Aart Schuurman Hess reached out to local businesses to see if they might be able to help. One stepped up to offer to turn the fruit into baked goods. The result? "One week we gave out bananas, and the next week we gave out banana bread," he said. That experience planted the potential for other projects in his mind. Through the food bank, he launched the Surplus Food Processing pilot project and tapped Ms. Barnaby, a veteran Vancouver chef with dozens of years of restaurant experience. They chose to focus on tomatoes, which they considered the most versatile of the most commonly wasted foods in the Vancouver area (a list that also included cucumbers, squash, and oranges). The first product they would attempt would be tomato soup. At first, Ms. Barnaby found the idea of surrendering control over ingredients unnerving – especially using produce of unpredictable levels of ripeness or variety. "Chefs," she said. "We're all about consistency." But as she started working, she quickly realized her fears were overblown. Having different varieties of ripeness produced the best soup. But even the batches made out of entirely under-ripe ones weren't bad. As the project scales up, the chef said, she will put in place a "triage" system to ensure a variety of tomatoes are available at all times. Seeds were another happy surprise for Ms. Barnaby. Most soup recipes use canned tomatoes, with the skin removed and, often, the seeds too, since they can sometimes add bitterness. But Ms. Barnaby wanted to use the entire tomato. So she was pleased to find the seeds (which contain pectin, the same starch in apples and citrus rinds) helped to thicken the soup, preventing it from separating and giving it a luscious, velvety texture. Since beginning the recipe development process in August, Ms. Barnaby has brought many versions of the soup to taste testers – one with zucchini in it ("testers thought the seeds were 'weird'"), another with kale ("but where would we get the kale? "), and a soup with chickpeas ("too complicated"). Once the recipe is finalized, they will be able to take steps towards selling the soup. The entire project, Ms. Barnaby said, has felt like solving a puzzle – figuring out a new way of doing things. "I like the idea of using stuff that people turn up their noses at," she said. "I love it." But the reality is that most consumers don't approach food in the same way. Most still prefer straight carrots and round, red tomatoes. And because of this, so do retailers. In recent years, retailers like Loblaws have made moves to address this, including offering for sale "ugly" fruits and vegetables. Loblaws has also undertaken studies to scrutinize its own processes, looking for ways to reduce or divert waste. Last year, the company diverted 47 million kilograms of organic waste, up from 43 million the year before. But just targeting one part of the food chain fails to take into account the complexity of the whole, said Ms. Soma. "If a retailer tells a farmer in Kenya they're not going to accept their green beans because they're not long enough, or too curvy – that's beyond us consumers just eating ugly fruits or vegetables," she said. A whole range of problems at every level of the food chain contribute to waste: Incorrect or inefficient planting or harvesting at the farm. Inappropriate storage or packaging at the processing plant. Restaurants that overserve with huge portions. Retailers that encourage bulk-buying. "Basically, the more you buy, the less you have to pay," she said. "So people buy more." Further complicating matters is lack of good data. About 47 per cent of food waste in Canada occurs at the household level, according to a 2014 report from Value Chain Management International. About 20 per cent is wasted at the processing level, while another 10 per cent is wasted at each the farm and retail levels. Transportation, restaurants and hotels make up the remainder. But Ms. Soma said that these figures should be taken with a grain of salt. Household data are available through municipalities, while food industry data are submitted voluntarily and may be incomplete. And, in the case of the VCMI report, the data do not include institutions like hospitals and schools. In an ideal world, she said, all of these layers – producers, processors, suppliers and retailers – would work together to prevent waste from happening in the first place. Diversion efforts, as the VCMI report states, are "positive steps; however, they produce considerably fewer financial and environmental benefits than if food waste was prevented in the first place." One way to do that, said Ms. Soma, would be for producers and retailers to work together to reassess prices. Because food is cheap, she said, people treat it as disposable. 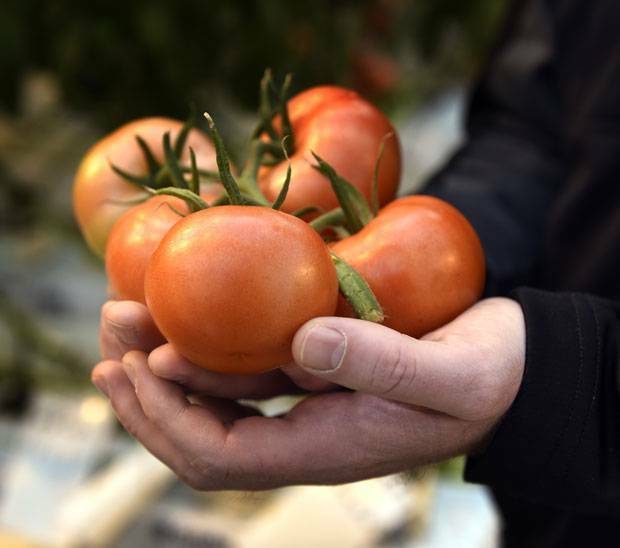 "When we change food prices, people will start to see the value of their food. People will think, 'Oh, my food is worth more. I can't waste more.'" This could have a ripple effect across all levels of the food system, forcing producers to rethink what and how they grow, and consumers to rethink what they buy. Still, she acknowledged such changes would involve major shifts in thinking, and efforts way beyond the "Band-Aid" solutions seen so far. "This would require a whole change to people's consumption," she said. "Sacrificing their 24/7 convenience of getting whatever they want, and however much they want." As palates have evolved, so have approaches to agriculture. 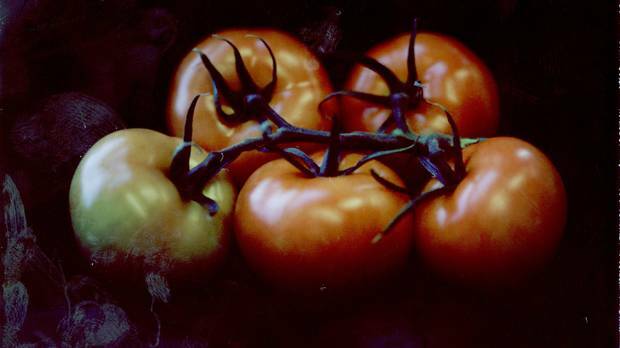 Read Ann Hui's report on the Canadian quest for a flavour-forward tomato. After Chef Barnaby finished cutting up the carrots, she emptied the colander she had filled with diced carrots, onion and celery into a giant pot filled with blended tomatoes. She placed the pot on a burner, watching as the colour deepened from a pale salmon into burnt orange. 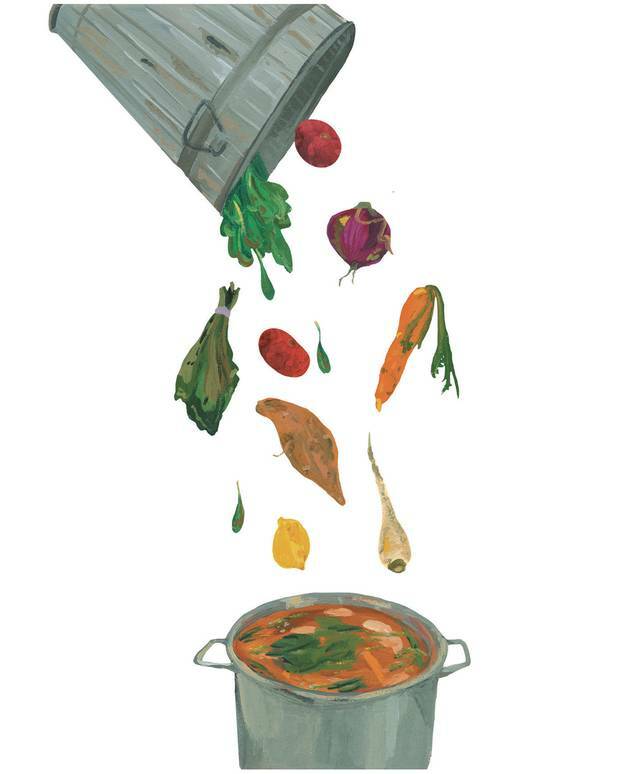 In less than an hour, she had converted 10 kilograms of "below seconds" tomatoes, 10 onions, 15 carrots and a whole head of celery – all of which would have wound up in landfills – into a giant pot of bubbling soup. About 16 kg. of waste had been reduced to about 1 kg. worth of food scraps and several litres of soup. The food bank hopes that one day, the soup will just be one of a "suite of food products" they offer commercially to institutions, generating revenue that can be funneled back into its programs. Also, through partnering up with local organizations, it hopes to provide employment and training in kitchen jobs to economically marginalized groups. Partnerships with other charitable groups like Potluck Catering in Vancouver's Downtown Eastside will take care of production and distribution of the soup. These latter partnerships are important, in large part because of the misconceptions surrounding the relationship between food waste and food security. The most commonly cited statistic, used in campaigns around the world, is that by diverting global waste by half, we could feed an extra one billion people around the world – a statistic that experts call misleading. "I think we should reduce food waste," said Evan Fraser, director of the University of Guelph's Arrell Food Institute. "But let's not fool ourselves. That's not going to have any impact on reducing food insecurity in Canada." Food security – meaning, an individual's access to affordable, nutritious food – is determined by factors such as income and geography, he explained. "It has nothing to do with the availability of food, or whether there's food around. 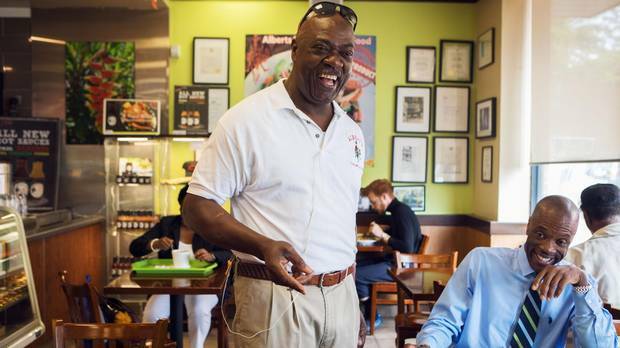 It has everything to do with the ability of people to access food," he said. "If we reduce food waste, we can feed an extra billion people. Theoretically, yeah, that's true. But the question is: How do we do that? I don't think there's an answer to how." "We're acknowledging that neither of those issues [food waste or food insecurity] are that easy. They're very complex," said Ms. Pitoulis. "But we're trying to look at this and say, 'Is there a different way? Is there a different conversation we could be having to get people thinking a bit more critically about those two issues, and also more systemically?'" With the soup simmering on the stove, Ms. Barnaby brainstormed the ideas she had for the foods she could tackle next. Tomato sauce was the most obvious next step. She had ideas for squash too. "I could make an excellent soup from that." As she spoke, she rummaged in the pile of food scraps in front of her. From beneath the tangle of tomato stems, vegetable skins and stickers, she had found a little piece of carrot that was still good to eat. She held it between her fingers for just a moment. Then she popped it into her mouth. Cut tomatoes into two-inch chunks and blend in blender or food processor until smooth. Pour in a large pot with the water. Dice onions, carrots and celery and add to pot with tomatoes. Add salt and garlic. Bring to a boil, then lower heat and let simmer for 30 minutes. Ann Hui is the national food reporter at The Globe and Mail. 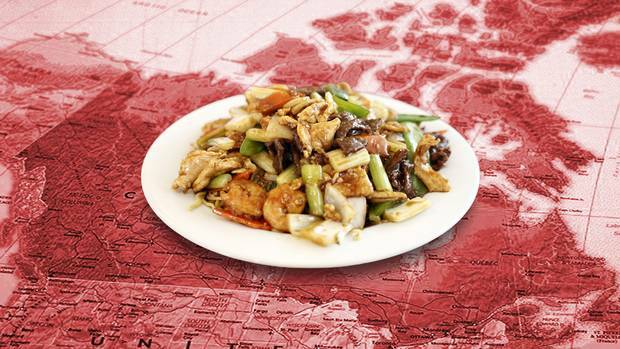 Chop Suey Nation: A road trip uncovers the lives behind the food From Victoria to Fogo Island and in every province in between: Ann Hui drives across the country to uncover the immigrant history – and vibrant present – of small-town Chinese-Canadian food. Whose food is it, anyway? How chefs can approach ‘ethnic’ cuisine respectfully Can a white chef authentically sell goat curry? And, even if they can, should they? Ann Hui investigates what it means to be a ‘culture vulture’ in the world of food. 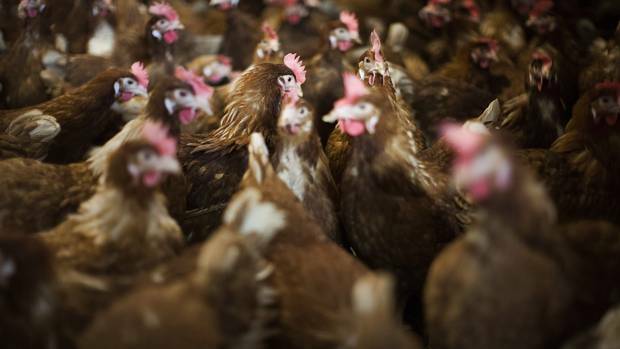 Think cage-free eggs are more ethical? It’s not that simple Everything you thought about the moral superiority of free-range eggs is probably untrue. Here's why a cage may be the surest bet for raising a happy chicken. Editor’s note: Canadians throw out an estimated $31-billion worth of food each year. An earlier headline for this story incorrectly said $31-million.